ASD Soft Company presents for your attention the 4 new series of Animaccord’s animation serial «Masha and the Bear», which will help you to plunge into the world of adventures together with our heroes. If you had never eaten a jam from cones, hadn’t skate on roller skates on the ice and hadn’t play to school with the Bear, you would have learn how to do this. ASD Soft Company presents for your attention the 4 new series of Animaccord’s animation serial «Masha and the Bear», which will help you to plunge into the world of adventures together with our heroes. 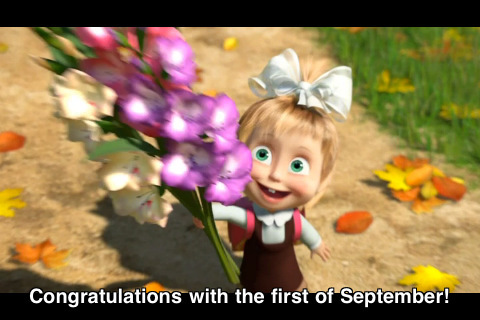 The heartwarming and comic relations between Masha and her best friend won't leave you and your children indifferent, and cheerful songs will present pleasure and good mood. 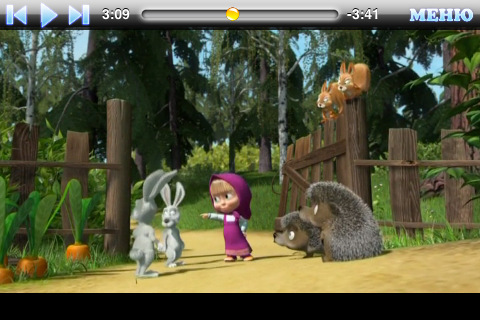 Naughty little girl Masha and patient Teddy personify mutual relations between children and their parents. The traditions of Russian folk tales and the moments of modern life are combined in the animation serial. Thus, you can plunge into unique Russian culture together with Masha and Teddy. The serial has already won hearts of children and their parents over the World. And now you can see the cartoon on the iPhone. The animation serial has received the set of awards at various festivals: the 15th International film festival of children's and youth animation cinema "Goldfish", the 18th festival of the Russian cinema «the Window to Europe», the festival «Neum Animated Film Festival» in Bosnia and Herzegovina, the 50th international festival of animation cinema in France in Ansi, the 14th international competition of children's and youthful films «Schlingel» in Germany in Chemnitz, the16th Bradford’s Festival in Great Britain, the 7th international animation festival «Tindirindis 2009» in Vilnius, etc. Software Design for iPhone OS. Our company takes orders to design a software for iPhone OS. It is in our power to create large-scale projects, computer games and different multimedia applications. Taking part in the design of joint project is also possible. The cost and terms of the design are discussed after a detailed studying of a technical task of an application.